Proxylin plastic, known as celluloid–the precursor to modern plastic–was developed and used for toothbrushes since around 1870, though bone handled brushes, by far, remained the norm. In 1938, the E.I. du Pont Nemours Company, a chemical manufacturer, developed the first nylon toothbrush bristles, and toothbrushes changed forever. The toothbrush could be made using plastic handles and nylon bristles, and was, for the first time, a totally synthetic object. That object could be manufactured completely within American factories. No longer did bristles need to travel across an ocean to be hand drawn into brushes; Du Pont automated the process. To further secure public trust in their product, they released a series of photographs, which accounted for each step of the brush making process, while highlighting the sanitary conditions of the factory. By the 1930s and 1940s, plastic handles were widely produced and used. Between the World Wars, the medical community waged ambitious campaigns to promote brushing, particularly among school children. 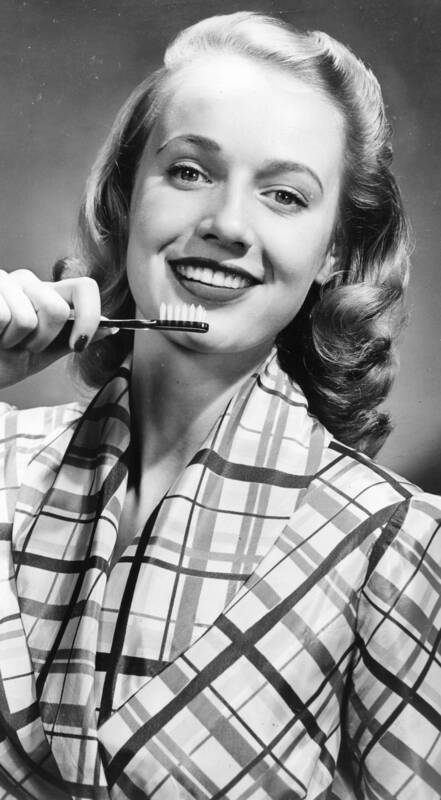 At the end of World War II, as a result of grade school education and military participation, Americans at large were more familiar with tooth-brushing. In 1945, the first public water fluoridation experiments began in the United States, leading to greater consciousness of dental hygiene and its relationship to general health. 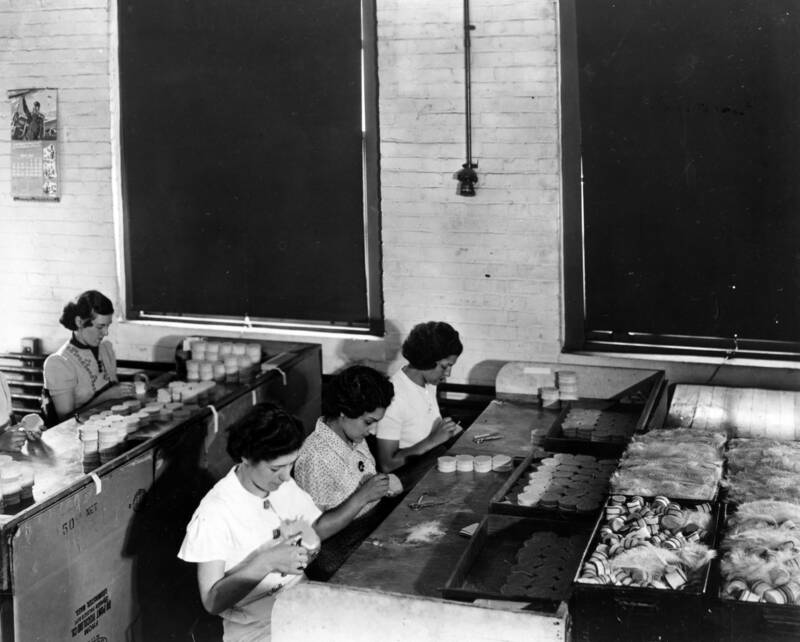 Additionally, the economic boom that occurred as a result of World War II, meant that more Americans had extra money to spend on hygiene products–particularly those made less expensive by new materials and technologies. The cow-bone and hog-bristle bristle toothbrush became an object of the past, as companies began producing relatively cheap synthetic materials to replace biodegradable organics. By some estimates, as many as 50 million pounds of toothbrushes are now thrown into American landfills every year. Brushes that were once organic, recyclable, and organic, and used until they couldn’t be used anymore are now new, synthetic, and disposable.